Clinicians you will see have the same access to your medical records as clinicians at Claremont & Holyport Practice. Patients aged 16 years or over can book directly for phlebotomy (blood tests) and dressings (excluding leg ulcers) by calling (03000) 240009. We are aware that flu vaccines are available at other places, e.g. 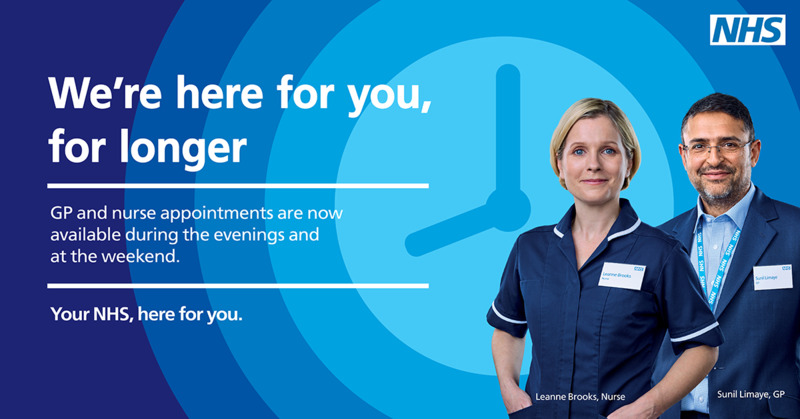 some local pharmacies - however we would encourage you to have your vaccines here at the surgery as this gives us the opportunity to check whether you are due for any other assessments or reviews. To meet our obligations under the General Data Protection Regulations the following two documents provide an overview of How We Share Your Information and a more detailed description of the circumstances this information is shared.